run, zoe, run! : Hello, Second Wind! 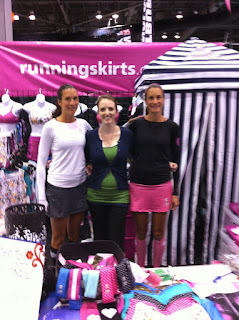 I think yesterday's expo and meeting the RunningSkirts.com twins really upped my mojo for tomorrow's race *ahem* run. I've been a little stressed out about the stupid groin stuff (and really, just the word "groin" is weird, right?) that I haven't been enjoying the fact that I'm still running with this Goober on board. I just needed to step back and realize HECK YES, I'M RUNNING! Sweet! 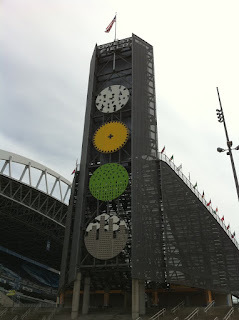 And seeing all the runners at the expo and the spark of excitement in the air was motivating. 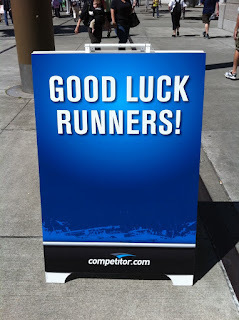 Bring it, Seattle RnR Half! Good grief they are tall & skinny! And tan, too! Plus, their set-up really matches my blog colors...hmmm. They are super sweet in person and I was a little starstruck because they've inspired me so much--especially running while prego. 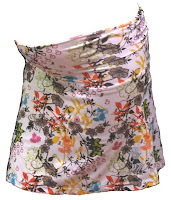 Of course I couldn't leave them without buying another skirt (Trav disapproved and grumbled about it later), and I just couldn't resist the flower maternity skirt. Extra supportive waistband, woohoo! I love the black maternity skirt that TMB sent me, and I felt like I needed another. Here it is, via the website photo. I seriously couldn't wait to try it out and after spritzing myself with SPF (yes, it was actually SUNNY out! ), I went out for a nice 4.2 miler in my lovely flower skirt. My belly didn't ache as much! WIN! 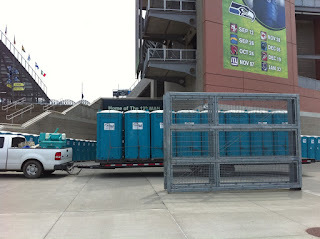 This one is for Mel and Kerrie...PORTA POTTIES! A big a$$ shipment for you ladies. Hee hee. E-mail me: zoe@runzoerun.com (because I can't reply to comments that say no-reply@blogger.com). I have that skirt (non maternity) and love it! Awwww. Thanks for the potties. :) See you tonight! PS: Word verification below is "twinsi." Thought that was appropriate. have a great run! i didn't know they made maternity skirts, that's GREAT! enjoy! will this be Goober's first race? I was VERY start struck... 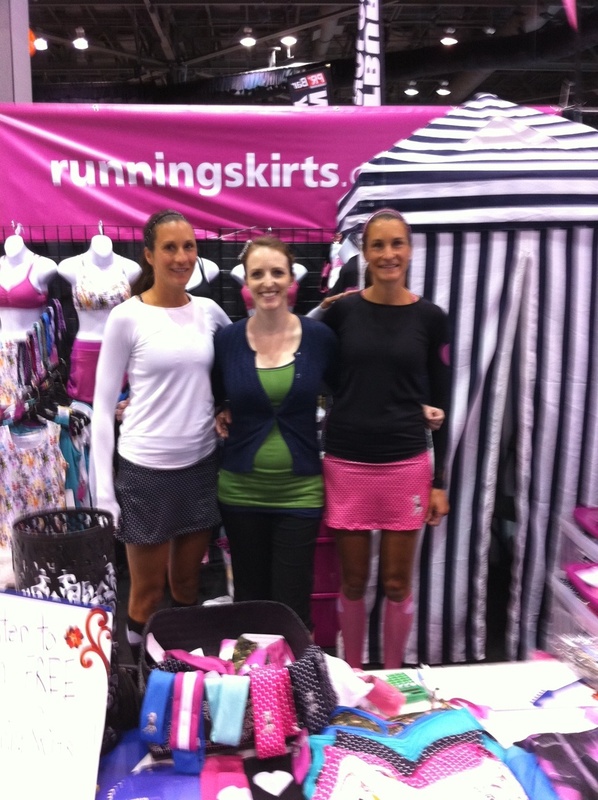 Loved meeting them and I LOVE LOVE my skirts. I own 3..
Love the skirt! 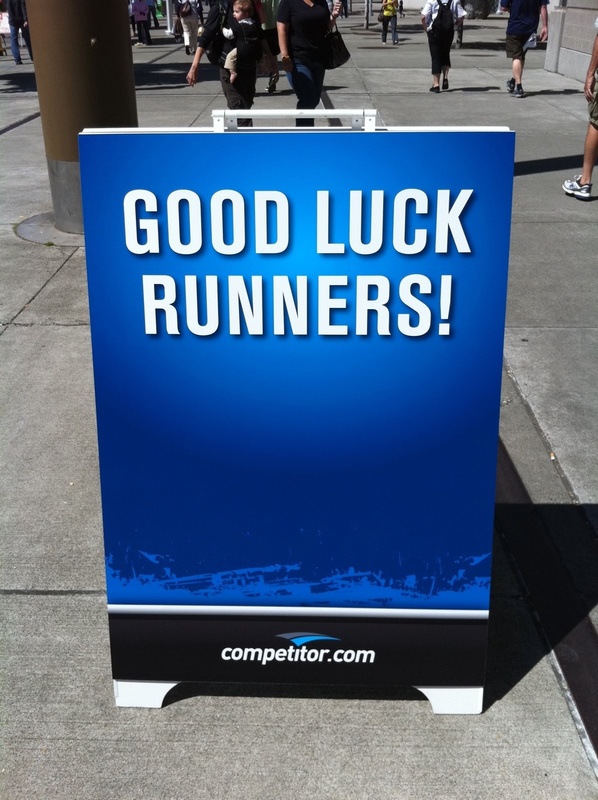 Good luck on your race!!! So cool!!! I looked for them but didnt see them on Friday??? I was a bit sad. I think you rock for sure running with that Goober on board!